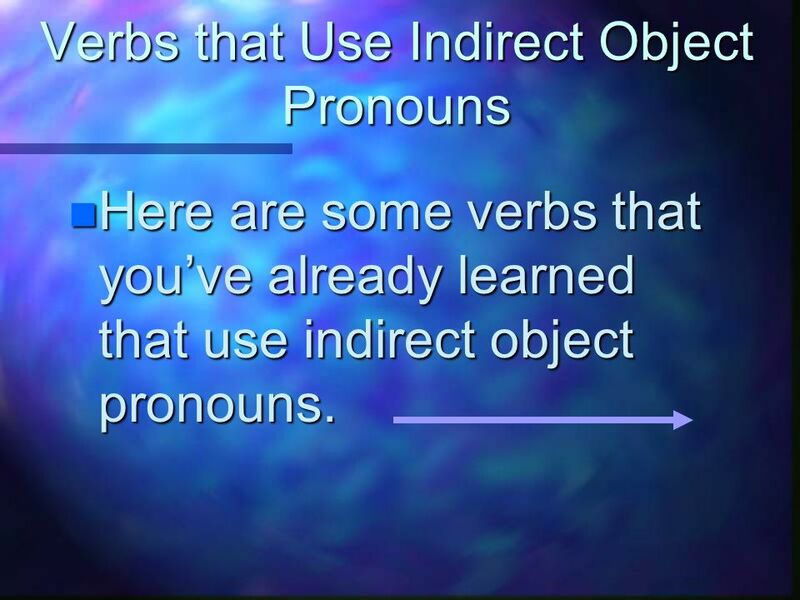 3 Verbs that Use Indirect Object Pronouns n Here are some verbs that youve already learned that use indirect object pronouns. 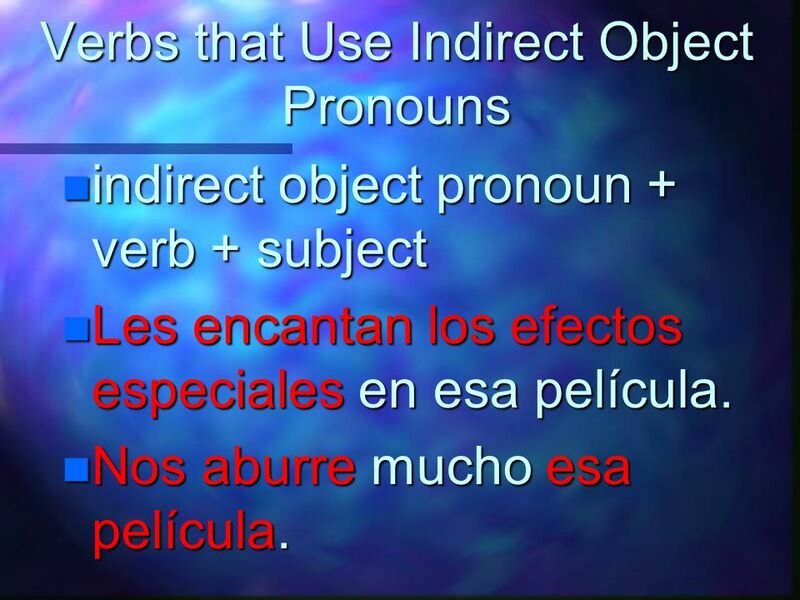 6 Verbs that Use Indirect Object Pronouns n indirect object pronoun + verb + subject n Les encantan los efectos especiales en esa película. n Nos aburre mucho esa película. 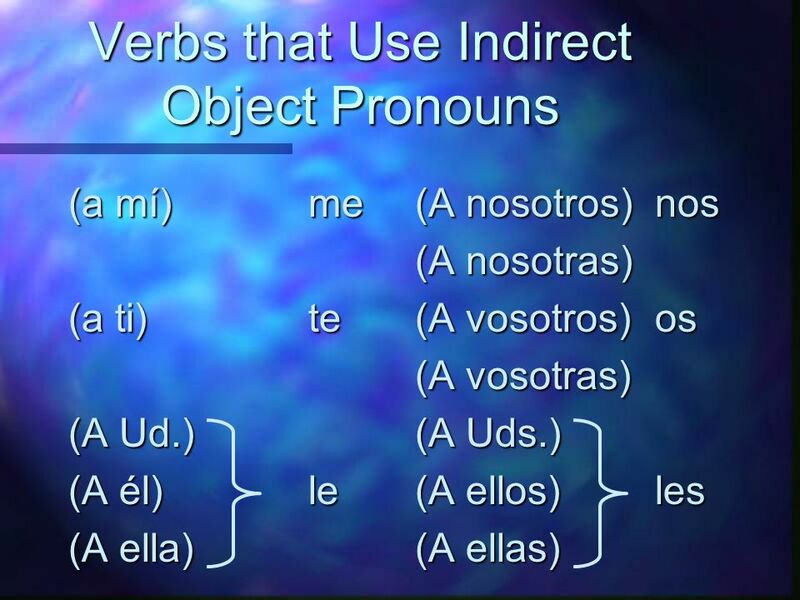 7 Verbs that Use Indirect Object Pronouns n A + a pronoun is often used with these verbs for emphasis or clarification. 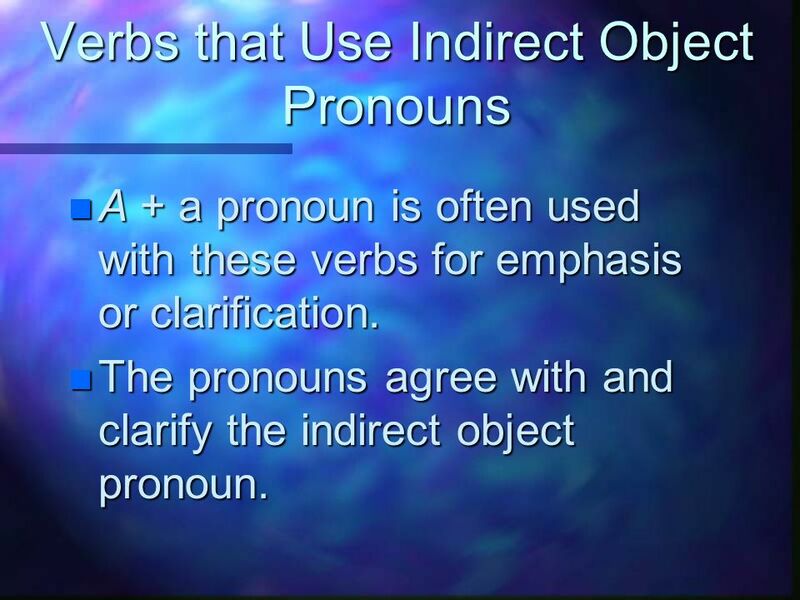 n The pronouns agree with and clarify the indirect object pronoun. 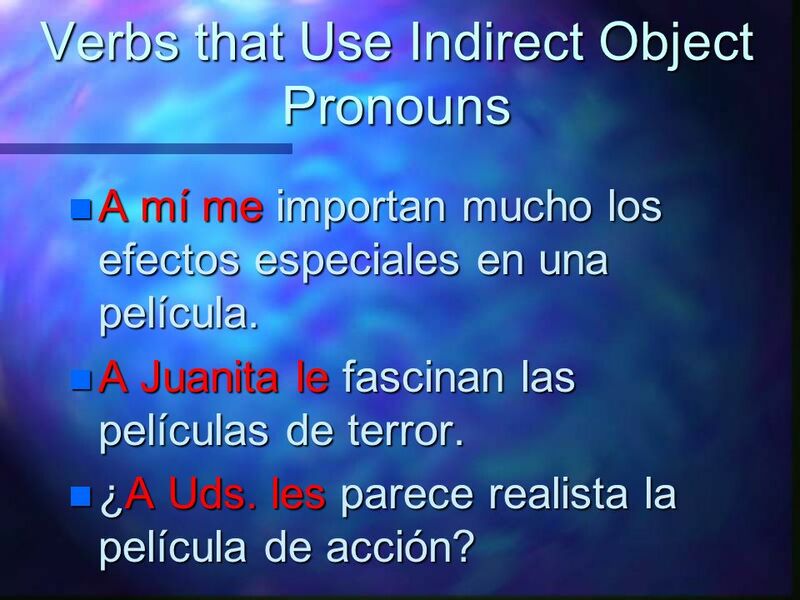 9 Verbs that Use Indirect Object Pronouns n A mí me importan mucho los efectos especiales en una película. n A Juanita le fascinan las películas de terror. n ¿A Uds. les parece realista la película de acción? 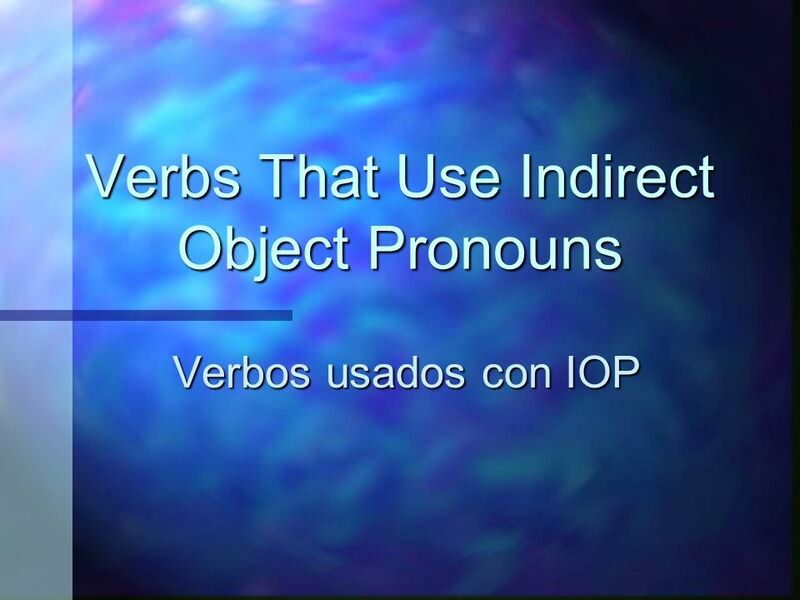 Descargar ppt "Verbs That Use Indirect Object Pronouns Verbos usados con IOP." ANTE TODO You have learned that the expressions me gusta(n) and te gusta(n) express the English concepts of I like and you like. You will now learn more. Repaso Breve. 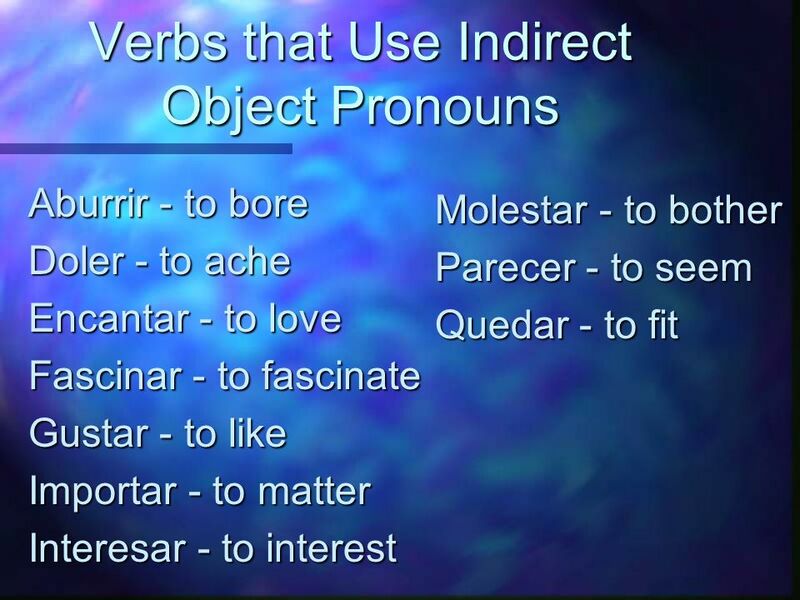 Two-Form Verbs In Spanish, some verbs have only two forms. I like to call these verbs two- form verbs. 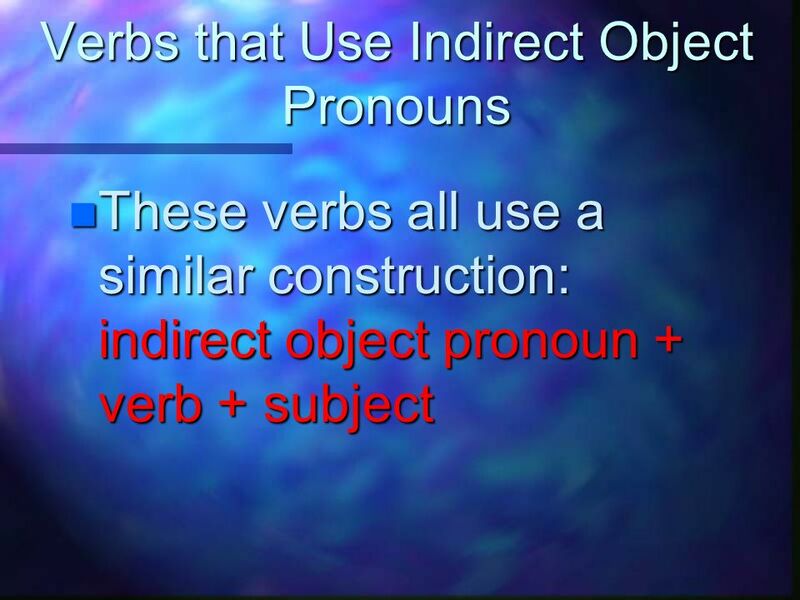 The most common two-form verb is.